“The Hospice means a lot to me. They helped my Grandad who was diagnosed with cancer. My Grandad Frank was a funny man, he always made me smile. He called me his chicken or chickadee and I would call him Opa. When he got cancer the NHS initially sent him to Clatterbridge Hospital and later to Woodlands Hospice. He was happy at Woodlands which made me happy. All the nurses and doctors were lovely and they helped my Grandad with everything. My Opa sadly died July 2014. In January 2016 I also had to cope with the unexpected death of my Dad, Papa as I called him. I was very upset and still am. I came to Woodlands for help, and they do. It is amazing. My family supporter is Elaine and like all the staff she is amazing. She helps with everything and anything. If I didn’t have her I would be in a very bad state of mind! The picture of me holding the poster was something I participated in during Hospice Care week. On the poster I wrote about the Hospice and what it means to me. 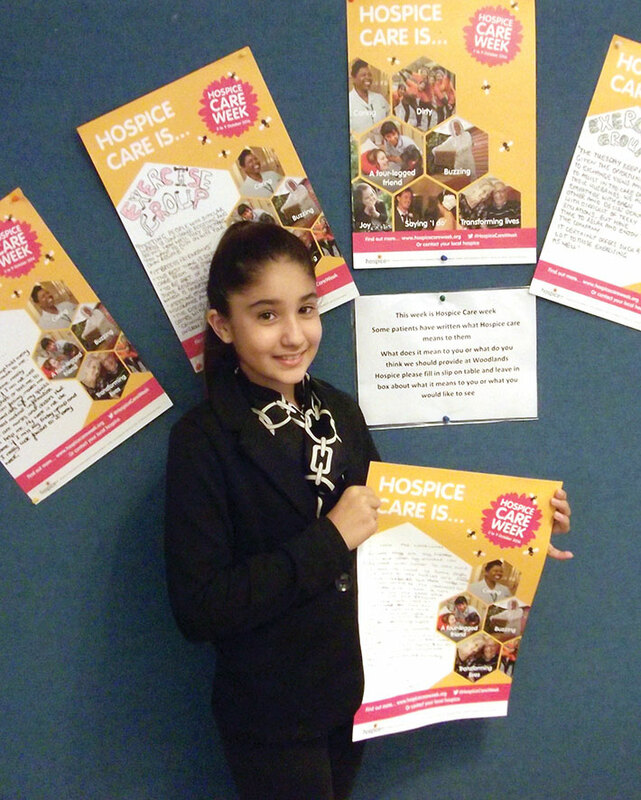 I was trying to encourage other young people to not be afraid, and to tell them that the Hospice is a friendly place. That you don’t have to just sit there and talk, you do lots of fun activities which help. “As a District Nurse, part of my role is to offer support and symptom control for patients who are palliative. Feeling compassion while providing care seemed natural to me and I always felt that I understood the journey that many families go through with a cancer diagnosis. That is until cancer knocked on our family’s door, and our Mum was diagnosed with terminal lung cancer. The turmoil that faces you while trying to be strong for your loved one is heart breaking. Our Mum was admitted to Woodlands Hospice after a six week stay in hospital. Woodlands was quiet and peaceful and she was able to sit outside her room and feel the sun on her face, have her hair cut and that was so important to her to feel good about herself… the little things that we take for granted. The chef came to see her every day and asked her about what she would like to eat. She felt so relaxed and safe and the staff were caring and supportive to us as well as our mum, and we have fond memories of those last few weeks together. We slept in her room to be at her side. We were aware that there were rooms for us to stay overnight but time was precious and not wasting a minute we did not leave her side. Nineteen days she spent in Woodlands and during that time Mum gained the confidence to come home where she sadly passed away two weeks later with her two daughters holding her hands. My experience of this difficult journey has given such insight and empathy into the challenges that patients and families face. Now I understand what compassion means and can explain to other families first-hand the services that Woodlands has to offer. We often attend Woodlands for various events to help raise money for the Hospice and although initially it was very painful going into the building, we now, as a family, pop in even for a cup of tea in the cafe and feel close to our Mum. Sylvia Storey experienced the care at Woodlands Hospice in August 2016 when her husband Stanley spent time on the inpatient unit prior to his death at home early October. When Stanley was at the Hospice one of his sons Wayne was away on holiday, but was in constant touch with the family, and they sent him lots of photos of Stanley at the Hospice - sitting on his bench outside the French doors from his room enjoying the garden, and a video of him walking around the Hospice garden. Wayne said he knew his Dad was safe. Following Stanley’s discharge home the family experienced a number of problems trying to make modifications at home and obtaining a wheelchair for him. Woodlands stepped in and all the issues were overcome. Also prior to his death the Hospice at Home team visited Stanley and supported him and his family. When asked where Grandad Stanley is now, his only great granddaughter, two and a half year old Lola, said: “Grandad Stanley is high up in the sky and is the brightest star you can see”. Our photographs show a recent photo of Stanley, Sylvia and Stanley’s wedding, and Stanley with his family. Claire’s story . . .
“My friend Jessica was a patient at Woodlands in February 2016. Woodlands Hospice not only takes care of all the complex medical needs for people when they need it most but the compassion, understanding and facilities they provide for families and loved ones genuinely helps to ease their suffering at what can be one of the most traumatic and life changing experiences they will ever have, which leaves an impression for a lifetime. 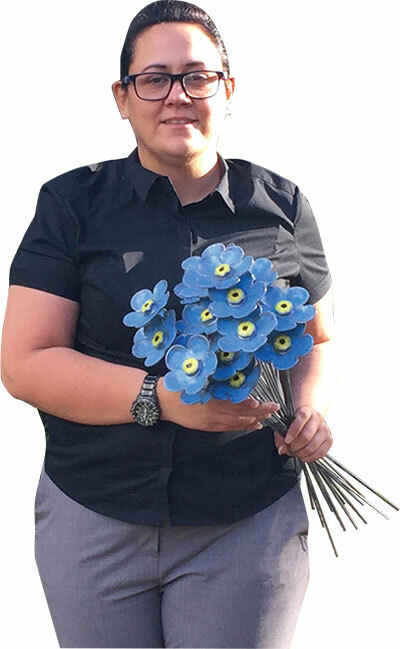 By supporting the hospice through the Forget-me-not appeal I was able to help the hospice to continue to provide care and support to other patients like Jessica and their families”. 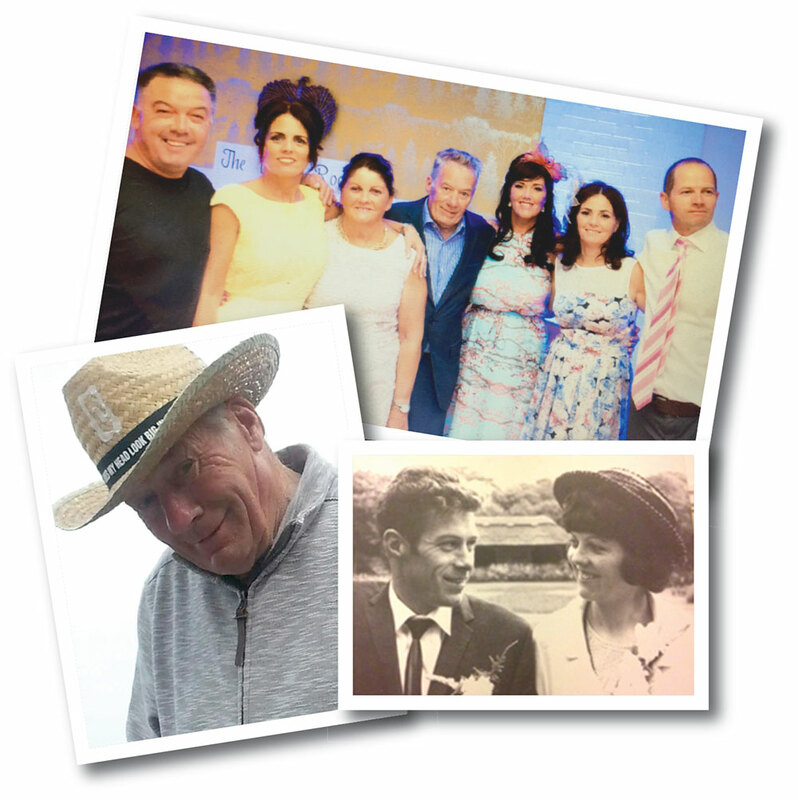 Diane’s husband Dave was only 32 when he was diagnosed with a brain tumour, and spent his last days at Woodlands Hospice, where staff supported the family during this difficult time. Sadly Dave died in January 2015. 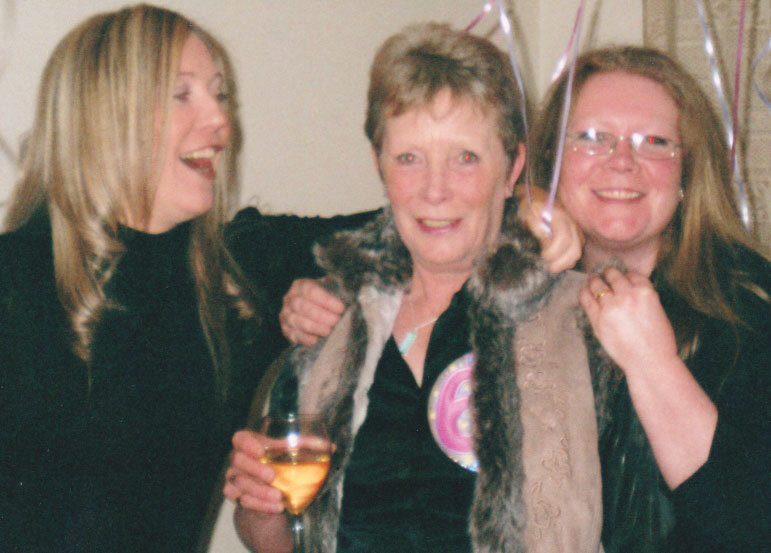 Since losing Dave, Diane and her family continued to receive support from Woodlands and she was keen to help the Hospice, so that others can benefit in the future from the same level of care and support she and her family received. Diane and her two daughters have been invited to switch on the Christmas tree lights at the Light up a Life service at the Hospice on Sunday 4th December 2016. 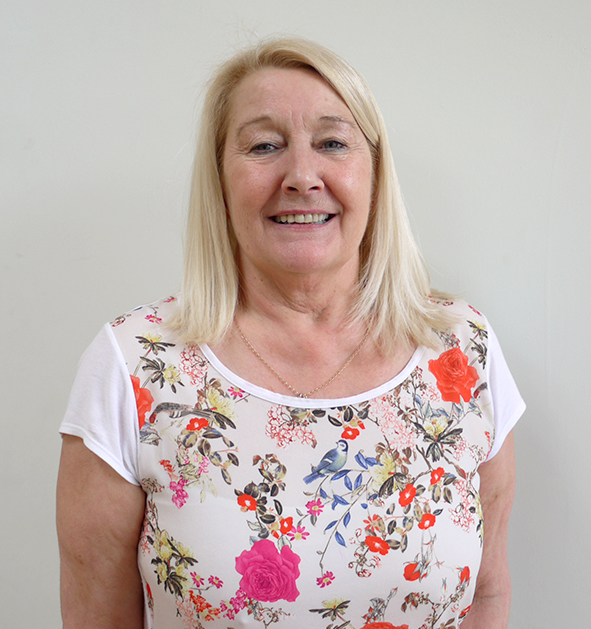 “My name is Barbara Williams and I attend Woodlands Hospice Wellbeing & Support Centre every Thursday and have been doing so since November 2015. I am 62 years of age, live in Kirkby, and have a daughter, a son and five grandchildren. I was diagnosed with emphysema ten years ago whilst working at Roughwood School and following a stroke my emphysema became worse so I had to give up work due to ill-health. This was a real blow for me as I have worked at the school for 25 years. Four years ago I was diagnosed with cancer of the kidneys and given five years to live. 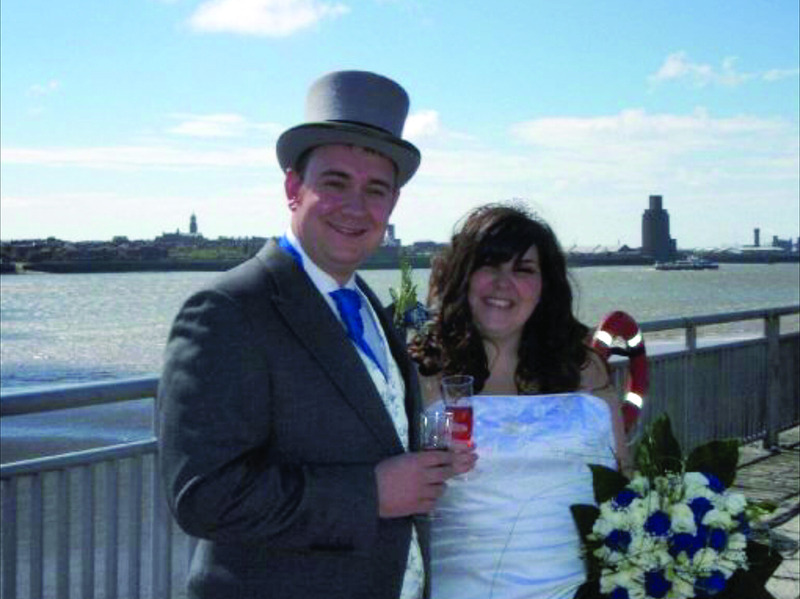 The thought of cancer terrified me and when my husband brought me to the Hospice I could not get out of the car as I had lost all of my confidence, but he persuaded me to come in to the Hospice. 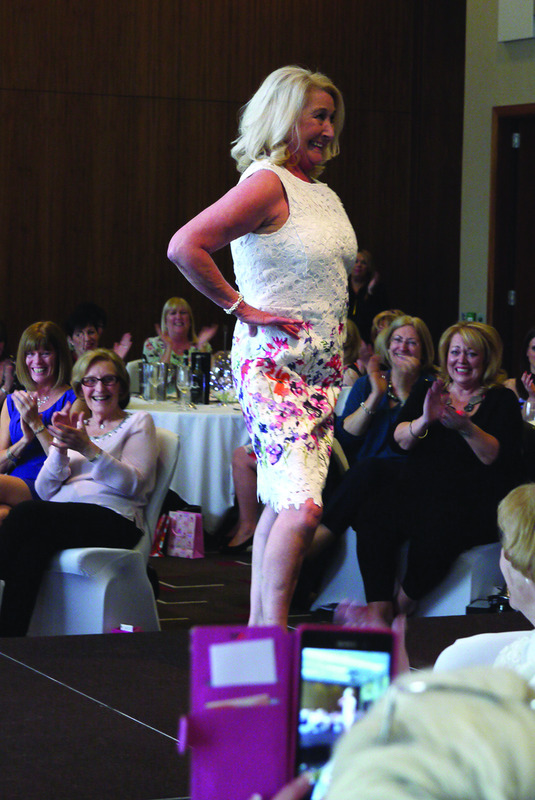 Recently, along with three other patients, I was asked to be a model for the Hospice at their 20th Anniversary Ladies Lunch and Fashion Show, a fundtaising event. This was like a dream come true and I was even allowed to keep the most amazing outfit following staff approaching a local business for sponsorship.